The Surfaris have been highlighted before here and anyway "Wipe Out" needs no introduction as everyone will know this one. 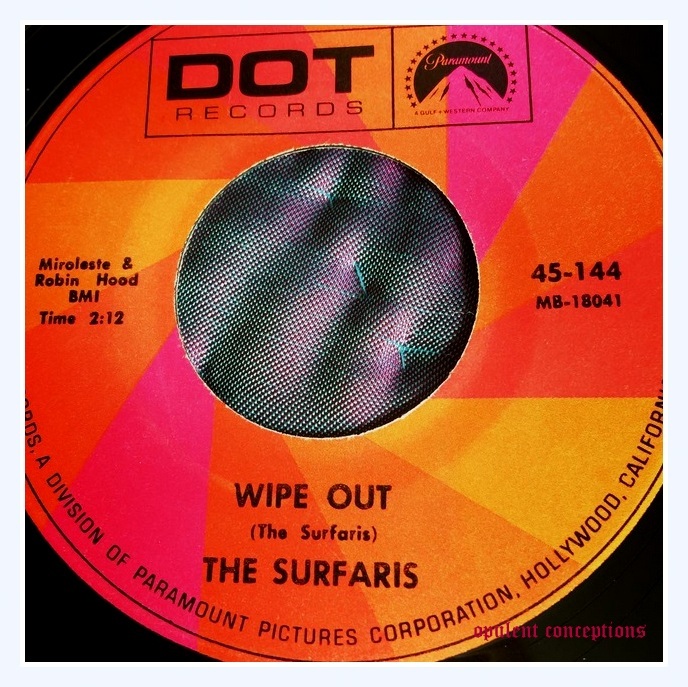 According to an online source "Wipe Out" was released three times on Dot Records so it was obviously a decent seller for them. The first release on Dot was during April 1965 on the better known black label, the second reissue or repress was during June 1966, then five years later a third and final repress on this colourful label. Some copies are on the white label. So, the record has had some mileage and it's still well known today. Perhaps one of the most played surf tunes of all time.